Title says it all, folks. In their earnings call today, HP responded to a question about whether or not tablets (read: iPad) were hurting netbook sales. 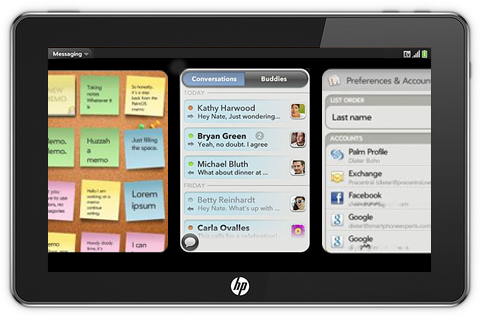 In reponse, HP publicly confirmed that a webOS Tablet is coming in the timeline we were expecting, saying they will release "a webOS-based product in Early 2011." Hearing that in an investor call is quite a bit nicer than hearing it was said in an HP all-hands meeting. Excited? Think they'll call it the PalmPad?